I'm sure I'm not the only person who shops online like every week. Before I shop, I usually go on a google search session for discounts or coupons to use. As much as I want to spend, I want to save up too. I was browsing through Facebook and found an article from Shopback and I was wondering what is this and how does it work. So basically, it's a site that helps you to save (not much but if you spend a lot, you will get more cashback) while you shop. But how does it work? You know how commission works? For example, if you refer someone to a shop, you will get monetary benefits in exchange. It is the same case for Shopback. The only difference here is that, YOU, the customer will get a part of the commission too! It's really simple. 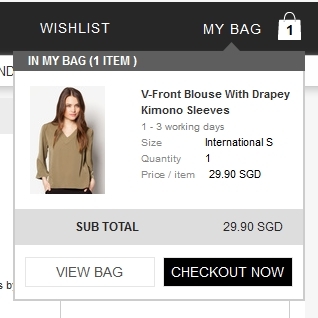 The best part is, they work with the stores we often shop at like Zalora, ASOS, Luxola and even Groupon! 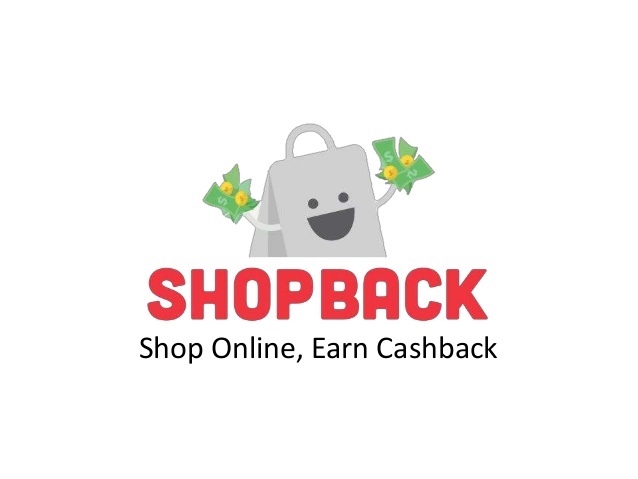 Different shops have different cashback percentage. 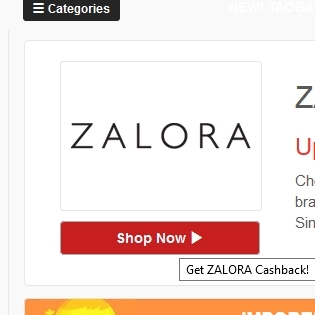 But just make sure you are logged in to Shopback so you will get your cashback. 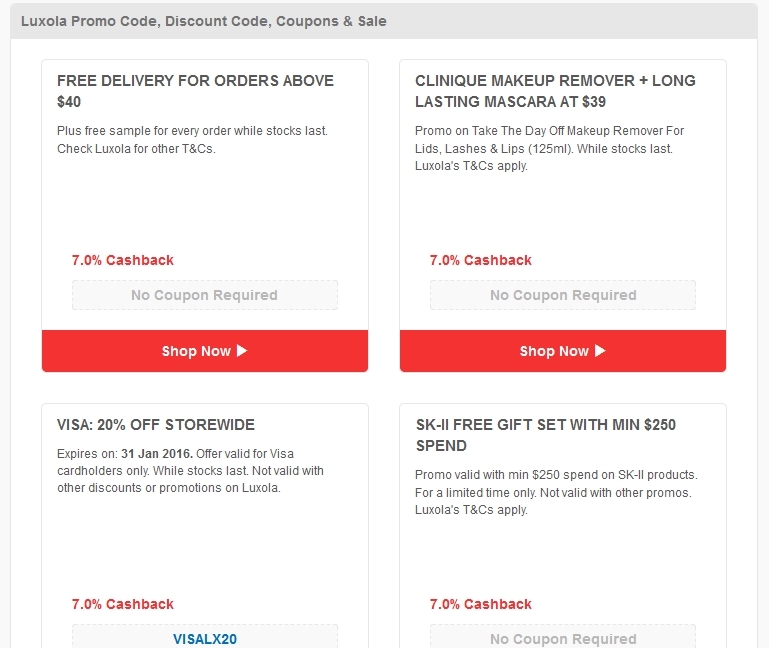 Shopback also helps to accumulate whatever discounts a certain store has at the moment all into one page. So really, you don't need to do a google search anymore! 1. Choose the store you want to shop at and click the "Shop Now" button. You will be redirected to the store of your choice. This the most important step to earn your cashback! 2. Shop as you usually do and check out. 3. 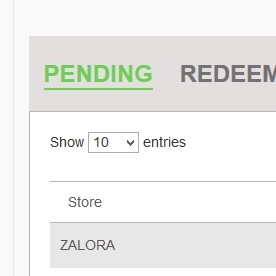 Once paid, check Shopback within 48 hours and you will see the name of the store you shopped at. 4. 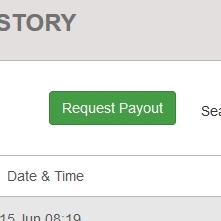 At the end of every month, you can request payout and get them to cash out to Paypal or your bank account! You will need earn at least $10.01 to earn a cashback. It's pretty easy isn't it? If you want to earn more, register through this link to get $5 bonus! Have fun shopping girls!